In this ever changing world, we need to be proactive… and that is just what Bruce Petrov thought in 2004, when he launched Home Maintenance Solution, Inc. from Petrov Construction. Bruce saw a need when he had many customers calling to ask for help with small issues around their home. Petrov Construction wasn’t geared for small projects and they wanted to be able to take care of the customers with the quality and commitment that they had built their name on. Through a series of events, they started HMS as a partnership. 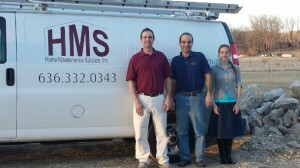 Home Maintenance Solution is not just another Handy Man Company. 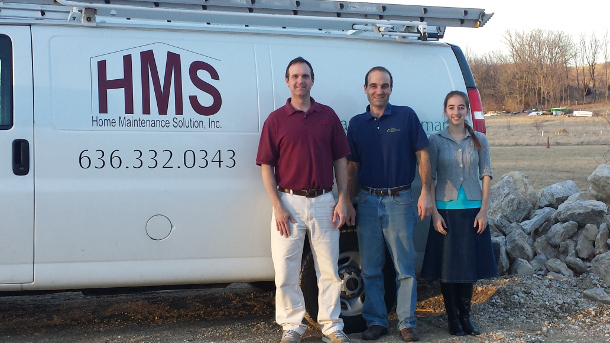 Home Maintenance Solution, Inc. is a company that repairs and maintains homes in the St. Louis and St. Charles Area. They are proactive in their approach to home maintenance, which saves money in the long run. They start off by doing an extensive home assessment. Once they have that information, they sit down with you, the home owner and prioritize needed repairs. Their certified HMS technicians then come out quarterly to perform repairs, assess for possible new problems and perform any other needed ‘handyman’ items the customer requests. Each client has a designated technician assigned to their home, so you know who you are letting in your door and trusting your home with. This allows a higher level of efficiency by the technician because he learns each house, and the priorities for both the house and for you, so you can relax knowing who is going to show up each visit. This personalized approach for ‘house beautiful’ has allowed Home Maintenance Solution, Inc. to provide the superior service that they are known and respected for. For more information on how you can save money and time or to schedule an appointment, give Bruce Petrov a call… Home Maintenance Solution, Inc at 636-332-0343. Of course, you can always contact them via the web at HomeMaintenanceSolution.com (click here to go to the website). or find them on Facebook at HomeMaintenanceSolutionInc (click here to go to their Facebook page). 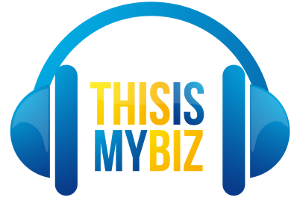 Below is the interview where ‘This Is My Biz’ shines the spotlight on Home Maintenance Solution, Inc. Hear directly from Bruce Petrov, Director of Marketing and Sales. The interview will be broadcast on KSLQ 104.5 Saturday, July 12th at 9:30 AM on the “This is My Biz” radio show. Home Maintenance Solution on Westplex.com – Putting Your Business on the map… (click here to go directly to Home Maintenance Solution on WestPlex.com).